Your Wowza / Flash Control Panel. Centralized administration of all of your streams. WebTV Simulated Live Video allows you to create scheduled Playing Lists the same way as TV Channels, for more details about our WebTV Service please Click Here. nDVR enables you to record a live stream while simultaneously enabling viewers that join the live stream in-progress to rewind to the beginning of the live stream (or rewind within the part of the stream that you specify) and then use DVR playback controls in their player to watch the stream from that point forward. You can also record the primary incoming live stream to video on demand files for later playback and choose the VOD service where the recorded files will be saved too. 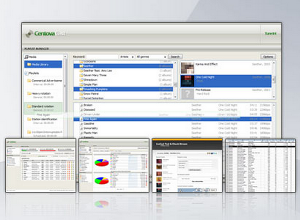 Manage all of your favourite services from the one control panel. Our product supports, Wowza Streaming Engine. and Shoutcast 2, Icecast 2 for dedicated plans. Both audio & video streaming are possible using Wowza REST api integration supporting Live Streaming, Ondemand Streaming, TV Station (playlist), IP Camera Restream. Compatible with Wowza Streaming Engine 4. Features a built-in advanced billing module for WHMCS allowing you to specify advanced configurable options and track bandwidth and data usage.